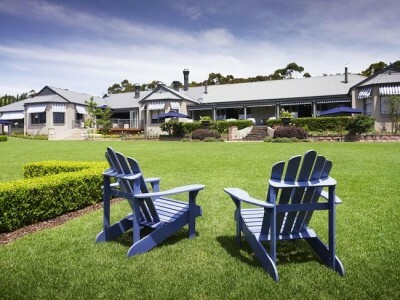 One of the Central Coast’s most luxurious resorts is cracking open not one, but two bottles of Champagne to celebrate scooping two top industry awards. Bells at Killcare Boutique Hotel, Restaurant and Spa has picked up two accolades, ranking it with the world’s best gourmet hotels. 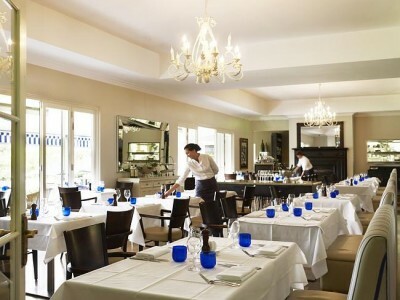 The boutique resort’s one-hatted restaurant, Manfredi at Bells, under the helm of award-winning chef Stefano Manfredi, has been named the third Best Hotel Restaurant in the world at the recent prestigious Mr and Mrs Smith Hotel Awards. 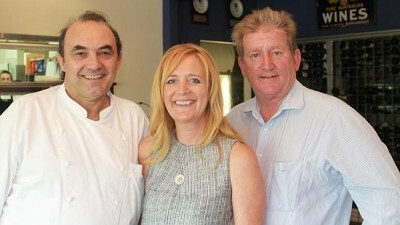 Restaurateur Stefano Manfredi and Bells at Killcare owners Karina Barry and Brian Barry. 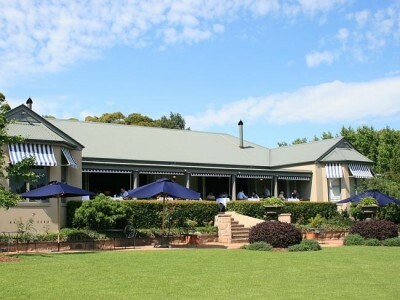 Breakfast on the verandah at Bells boutique hotel. The prestigious Smith award comes as Stefano Manfredi celebrates 30 years in the Australian hospitality industry. Considered to be one of Australia’s most influential chefs, his restaurant beat Raymond Blanc’s luxury hotel-restaurant Le Manoir Aux Quat’Saisons in England’s Oxfordshire and renowned Australian chef David Thompson’s Nahm restaurant in London in the award. 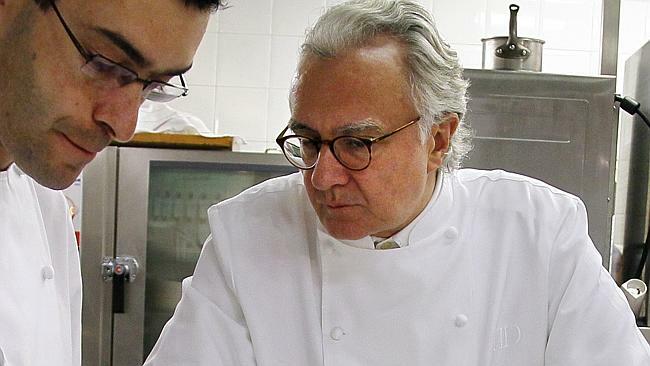 The winner of the Best Hotel Restaurant category was Alain Ducasse’s La Bastide De Moustiers in Provence, France. Almost 50,000 people from around the world voted from the Mr and Mrs Smith collection of 900 hotels in 12 categories, which included Best Dressed Hotel, Hottest Hotel Bar, Best Budget Hotel and the big one, the Best Smith Hotel 2013. A panel of 36 industry experts including chef Marcus Wareing judge the shortlisted nominations and name one winner and two runners-up. A sample of dishes from the restaurant. The dining room at Manfredi at Bells. 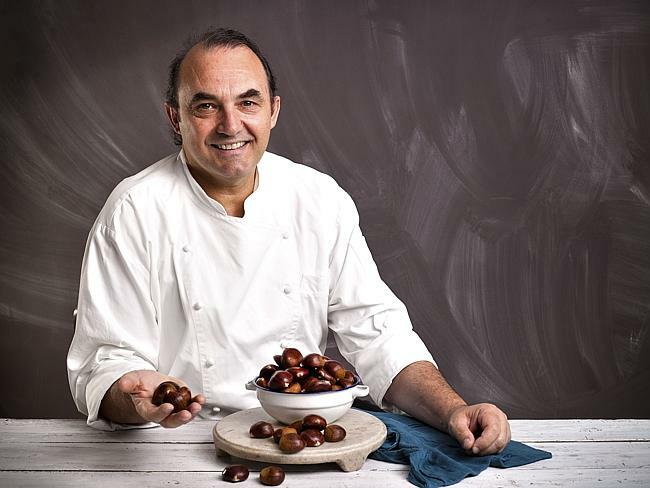 Chef Stefano Manfredi is a champion of local and seasonal produce. Bells at Killcare owners Brian and Karina Barry said they were thrilled with the win, which puts the resort on the international map. “These accolades are fantastic and its fabulous to be ranked among such great restaurants” said Mr Barry. The prestigious global award was followed by another Australian acolade, with the Killcare restaurant being named the Best Restaurant in a Hotel or Resort at the Restaurant & Catering Association’s Awards in Excellence. The Manfredi at Bells restaurant holds ‘locals nights’ on Tuesdays, with a two-course meal with a glass of wine for $39 per person. Details: 4360 2411 or go visit the Bells website for more information. 1. La Bastide De Moustiers, Provence, France. Romantic Provence Inn owned by Alain Ducasse, who holds more Michelin stars than any other chef in the world. Simple, seasonal ingredients served in a beautiful place. Described as a gastronome’s daydream. 2. Lake House, Daylesford, Australia. Chef Alla Wolf Tasker is a champion of local produce at this smart, rural restaurant. Heritage vegetables, house-made charcuterie, local trout, eel and free range pork are star attractions. 3. Bells at Killcare, Central Coast, Australia. 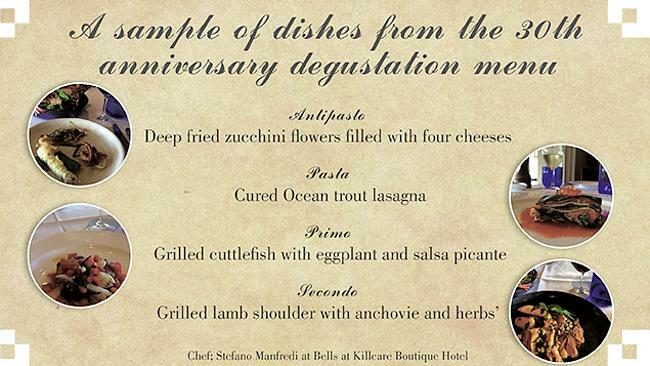 Master of modern Italian fare Stefano Manfredi celebrates local and seasonal produce at this relaxed coastal location. Robust duck and pork ragus, pan-fried veal, homemade gelati and antipasto plates are among his sought-after signature dishes. 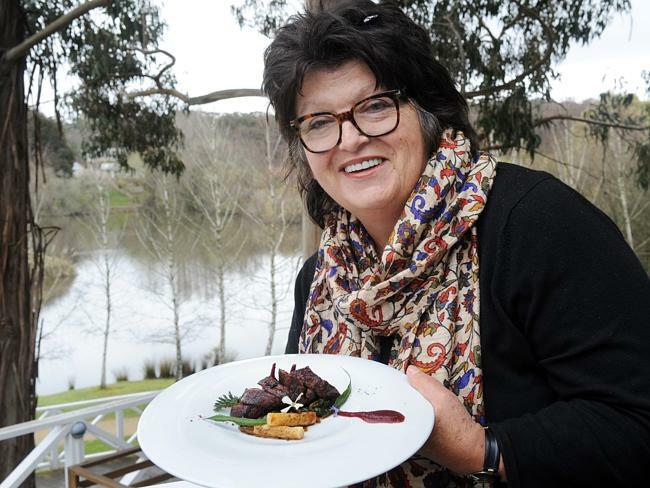 Alla Wolf-Tasker who owns and runs Lake House Restaurant, Daylesford.